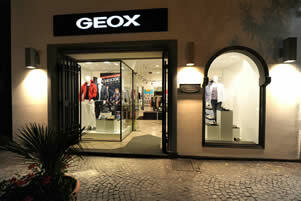 From the 2011, "Geox" is opening in Ischia Porto. The modern Geox-store is located in Via Roma near Ischia’s harbor. In this cornershop, the whole family can find the new complete collections of this brand, not only footwear form man, woman and children bult also clothes and accessories for man and woman. Any article has got, of course, the famous patent that allows them to breathe.